As a proud owner of a bakery or other food establishment, you will often find yourself assuming the tasks and responsibilities of many different job roles. This includes everything from accounting, human resources, and even marketing.  Our goal here at Erika Record Baking Equipment is to help ease those burdens with helpful advice and tips that enable bakery and food establishment owners to focus on their core competency and passion – food! In this edition of Baker’s Insight, we explore the often confusing and overwhelming task of how to properly market your bakery online. Your Website Should Be An Effective Marketing Tool! It is no longer enough to simply have a website. Your website needs to stand out from the rest! The first three to five seconds is crucial in getting visitors to stay and browse your website. If your website is lackluster, most visitors will often leave your site after a few seconds. You must also ensure that your website is built utilizing the latest advancements in website development technology. In general, this means avoiding Flash (while this may look nice, Google does not index Flash based websites and your website won’t be accessible via popular mobile device like iPhones and Androids either!) and implementing what is known as HTML5 based coding instead. Also important is ensuring that your website implements what is known as SEO or Search Engine Optimization. This is designed to align potential customers within your service area with the goods or products you are offering. A simple way of accomplishing this is by renaming pages with target keywords as opposed to simply leaving the page listed as Home or index.html. This page name is the first thing Google will “see” or “read” when indexing your website. To visitors, this will be the blue link that appears within Google’s search results. For those with a limited budget who cannot afford to hire a Marketing & Web Development firm there are a variety of affordable and effective solutions online. We recommend GoDaddy’s Website Builder, Weebly, and Wix’s HTML5 ready website builder templates for bakeries and restaurants. All of these services deploy HTML 5 coding, an easy to use drag and drop design interface, SEO input options, and affordable monthly payment plans. Google Places/Google+ Local Is Critical! After you have established your bakery’s web presence, getting listed on Google Places/Google+ Local is critical. This is similar to having your business listed in the phone book. Google will enable you to list your web address, business location, phone number, photos, services, and operating hours on their online directory. Once your listing is verified, customers will be better able to find your business on the popular search engine. In addition, customers of your bakery or restaurant can leave reviews. High quality reviews can also help your establishment rank higher against the competition. A strong social presence is also a great way for your bakery or restaurant to connect with your most loyal customers and get instant feedback. We recommend maintaining a presence on both Facebook and Twitter and utilizing HootSuite to help manage both accounts at once. The goal here is to engage your audience! Don’t create a stagnant page – offer exclusive Facebook deals, share photos of your latest creations, and ask customers for their thoughts. It’s the easiest way to get a pulse of what customers think of your baked goods/food, staff, and facilities. Once you have mastered Facebook and Twitter, you can then consider adding other networks such as Instagram, Pinterest, or YouTube. Jon Cabral is a seasoned Marketing and Public Relations professional with experience in multiple sectors including B2B Relations and Hospitality. Jon oversees Marketing & Public Relations initiatives for Erika Record Baking Equipment. This includes a recent website and branding overhaul as well as ongoing event planning and other strategic initiatives. His ability to develop highly effective, integrated communication and marketing strategies, enables Erika Record Baking Equipment to reach its key target audiences and increase awareness within the baking industry. 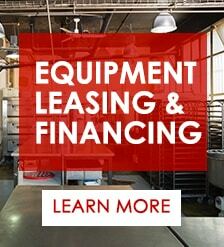 Erika Record Baking Equipment is the leading manufacturer and distributor of retail/commercial bakery equipment. For over 20 years, we have provided our customers with both excellent equipment and outstanding customer service. Our products include: bagel/bread/roll slicers, bread and roll systems, cake slicers, cookie presses, depositors, divider/rounders, mixers, sheeters/makeup tables, ovens, and more! 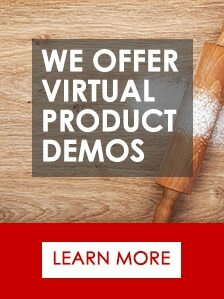 For more information give our New Jersey bakery equipment showroom a call at: 973-614-8500 or click here.